How to Inter-Change b/t Front and Back Camera of Android KitKat Phone? Sometimes quick inter-change between front and back end camera becomes necessary whenever you feel need to take your own photo and no friend is there to help you, when you are engaged into the video chat on your mobile or vice versa. It is a simple one step process in Android KitKat 4.4.2. 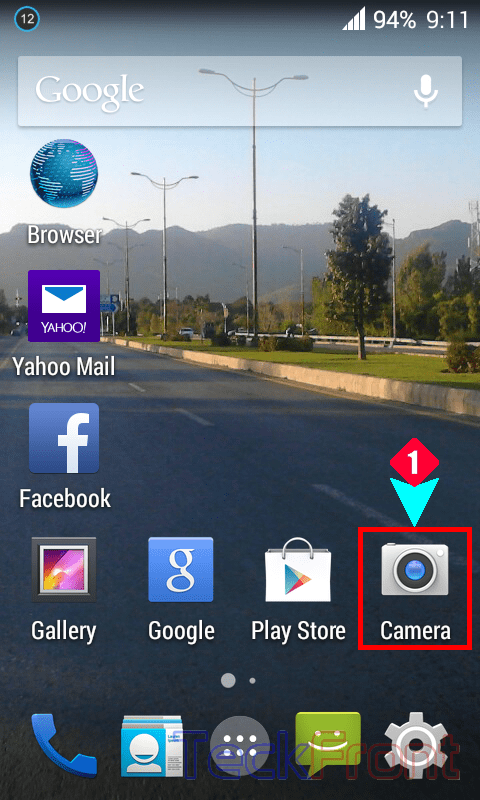 1: Tap Camera App icon at the Home screen of your Android KitKat 4.4.2 phone. 2: Tap the ‘Settings’, available at the right bottom corner of the Camera screen. It will open up a semi-circle floating menu, depicting buttons to many camera related actions and options. 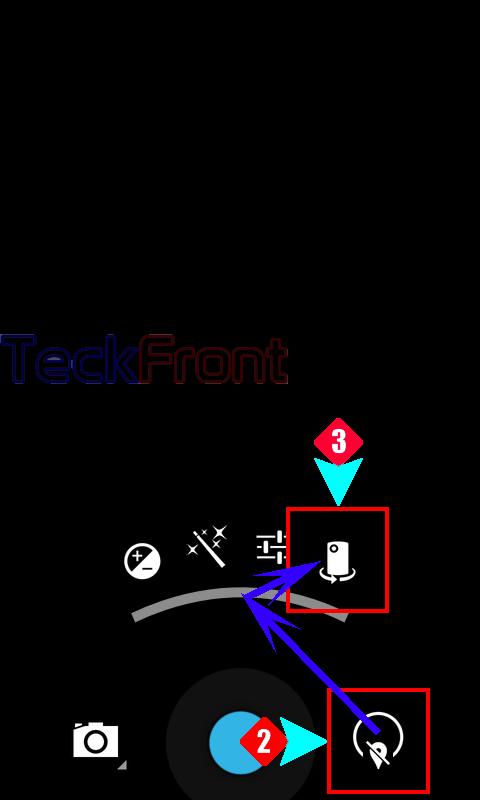 3: Tap the first button of semi-circle floating menu from right and the see the existing state of the camera is FRONT CAMERA. 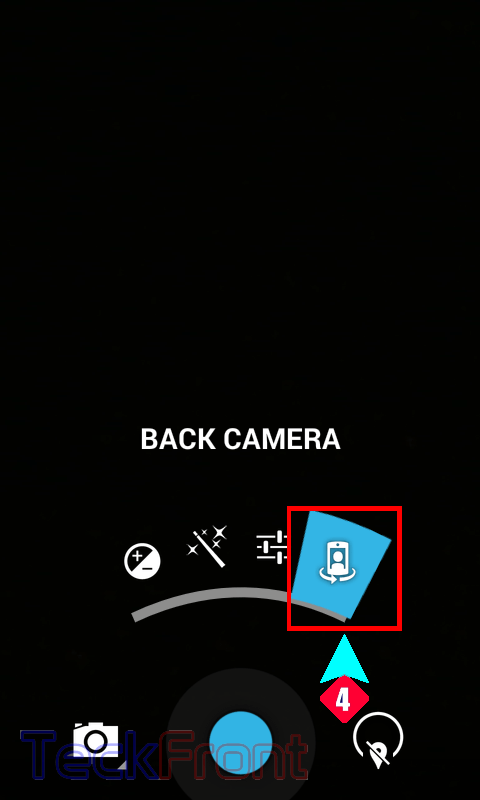 4 &5: See after tapping the button, the BACK CAMERA will be operable and active or vice versa. Newer How to Double-Tap on Status Bar to Sleep the Android KitKat Phone? Older How to Blacklist Contact for Incoming Calls in Android KitKat 4.4.2?